The Museum of Industry presents the evolution of work and industry in Nova Scotia from the time of pioneer settlement to the modern computer age. Our exhibits and artifacts provide a unique opportunity for students of all ages to learn how technology and industrialization have affected the lives of Nova Scotia’s workers, and to understand the hopes, opportunities and challenges they have faced. Our programs incorporate artifacts, gallery exhibits, hands-on components, crafts and activities. Students will have the unique opportunity to learn from real things while asking questions and discovering answers. 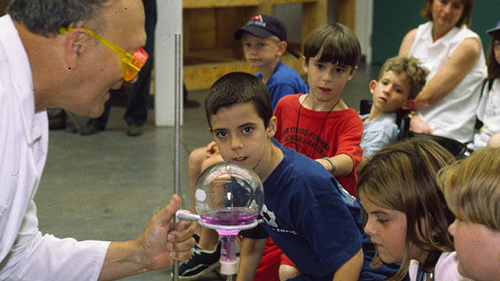 School programs at the Museum of Industry are taught by specialized museum staff and volunteers. The facilitated programs are designed to support curriculum outcomes and skills identified for specific grades by the Nova Scotia Department of Education. Programs can be adapted to meet the needs of other grade levels. Self-directed and specialized Tours of the museum are also available year-round. Plan your visit to the museum with information from our Planning Your School Visit or by contacting us. An Educator's Guide to the Museum of Industry, and pre-visit materials and activity suggestions accompany e-mail confirmation of programs and tours. The Museum of Industry is a part of the Nova Scotia Museum. Each of the Nova Scotia Museum sites offers a variety of school programs and educational resources.